Although we welcome your comments about this site, Homeschool.com is not obligated to review or act on any such submissions. Also, while we appreciate your comments, Homeschool.com cannot make any guarantee that it will respond to your message. Notwithstanding the foregoing, if you do send us a submission, whether requested or not (collectively the “Submissions”), such Submission shall immediately become Homeschool.com’s property. Homeschool.com may use any such Submissions as it deems fit, but shall have no obligation to use any of them. You agree not to assert any proprietary right of any kind in the Submissions (including, but not limited to copyright or trademark) and you waive the right to receive any financial or other consideration in connection with such Submission including, but not limited to, credit. You agree that any Submissions may be used, edited, removed, modified, published, transmitted, and displayed by Homeschool.com without any notice to you. In addition, you agree to waive any and all moral rights in such Submissions. 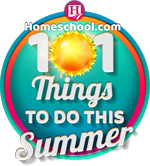 A submission is defined as a request to have some information posted on the Homeschool.com website, forum, or associated social networks. It does not include ordinary emailings with questions or comments you submit privately by email, blog reply, private social media message, contact page, or private forum message. 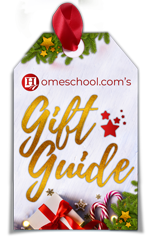 Homeschool.com, may be, but is not necessarily affiliated with sites which are linked to or from this site and in either case is not responsible for their content (“Linked Sites”). The Linked Sites are for your convenience only and you access them at your own risk. Homeschool.com is not responsible or liable for any infections or contamination of your system or delays, inaccuracies, errors, or omissions arising out of your use of this site or with respect to the Material contained on this site. This site and all Materials contained on it are distributed and transmitted “as is” without warranties of any kind, either express or implied, including, without limitation, warranties of title or implied warranties of merchantability or fitness for a particular purpose. The entire risk as to the quality, accuracy, adequacy, completeness, correctness and validity of any material rests with you. Homeschool.com is not responsible for any special, indirect, incidental, or consequential damages that may result from the use of, or the inability to use, the materials contained on this site whether the material is provided or otherwise supplied by Homeschoo.com or anyone else. Notwithstanding the foregoing, in no event shall the total liability of Homeschool.com to you for any and all claims, damages, losses, and causes of action (whether in contract or tort or otherwise) exceed the amount paid by you, if any, for accessing this site. 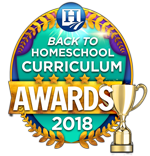 Homeschool.com has made every effort to provide site visitors with content and links that are of the highest moral character, professionalism and quality. However, Homeschool.com encourages all parents to exercise discretion in determining products, services or information to purchase or secure. While many high quality children’s sites and lesson materials are on our site, it should not be considered a “children’s site” legally, and does not need to be COPPA compliant. Indeed, any reliance you place on information, products or services secured from these organizations or individuals is solely your responsibility. Homeschool.com assumes no legal liability or responsibility for the accuracy, completeness, reliability, usefulness, or currency of the products or services you purchase or secure through our website. Additionally, Homeschool.com makes no representations or warranties, express or implied, with respect to merchantability or fitness for a particular purpose of any product, service, or information provided by any outside essayist or link offered through any Homeschool.com sponsored page. You will not post unauthorized commercial communications (such as spam) on Homeschool.com. You will not collect users’ content or information, or otherwise access Homeschool.com using automated means (such as harvesting bots, robots, spiders, or scrapers) without our prior permission. You will not engage in unlawful multi-level marketing, such as a pyramid scheme, on Homeschool.com. You will not upload viruses or other malicious code to the site. You will not use Homeschool.com to do anything unlawful, misleading, malicious, or discriminatory. You will not do anything that could disable, overburden, or impair the proper working or appearance of Homeschool.com such as a denial of service attack or interference with page rendering or other Homeschoo.com functionality. This site is controlled and operated by Homeschool Connect, Inc. from its offices in the State of Florida, United States of America. Homeschool.com makes no representations that materials in this site are appropriate or available for use in other locations. Those who choose to access this site from other locations do so at their own risk and are responsible for compliance with any and all local laws, if and to the extent local laws are applicable. No software from this site may be downloaded, exported or re-exported into (or to a national or resident of) any countries that are subject to U.S. export restrictions. This agreement shall be governed by, construed and enforced in accordance with the laws of the State of Florida, as it is applied to agreements entered into and to be performed entirely within such State. Any action you bring to enforce this agreement or any matters related to this site shall be brought in either the State or Federal Courts located in Polk County, Florida. If any provision of this agreement is void or unenforceable in whole or in part, the remaining provisions of this Agreement shall not be affected thereby. 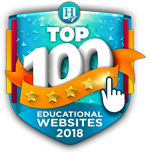 All personal information collected on this Website by Homeschool.com and/or its affiliated companies will be utilized primarily for internal purposes and/or to enhance visitor enjoyment and experience. Homeschool.com and Homeschool Connect, Inc. may also use email addresses or other personally identifiable information to contact visitors who directly communicate with Homeschool.com. For example, to notify visitors that they have won a game/contest, to provide a requested newsletter, or respond to visitors’ questions. Any such contact by Homeschool.com is deemed by you to be at your request and with your permission, and shall be deemed by the parties, respectively, to be in compliance with any and all anti-spamming laws that now exist or, shall hereafter be enacted. In some instances, where specified, personal information submitted by visitors may be used for marketing and promotional purposes relating to the Website or other informational properties. Homeschool.com currently does not share any personally identifiable information provided by visitors with third parties, unless specified at time of collection. Homeschool.com bears no responsibility for any action or policies of any third parties who collect any information visitors may disclose on the forums, comment fields, other public submission forms, associated publics social media profiles,or other hosted websites linked from within this Website. Homeschool.com runs several social media accounts including ones on Facebook, Twitter, YouTube, Pinterest, and Google Plus. We direct you to the individual guidelines of each individual social entity for clarification of their Statement of Rights and Responsibilities, their Data Policy, and their Community Standards. You should familiarize yourself with these policies before participating in any of our social networking on those domains. Homeschool.com utilizes Google Analytics to help determine trends, interests of visitors, and audience composition. You may see a sample of the type of data collected here. Most visitors are females, middle aged, with a household income of $30-100K (67%). While most are caucasian, there are a healthy number of other ethnic groups who participate. 61% of the heads of households have a college or grad school education. Half have children ages 6-17 in their household. Regular visitors account for 25% of the sites’ traffic. Amazon.com Privacy Notice: Homeschool.com is a participant in the Amazon Services LLC Associates Program, an affiliate advertising program designed to provide a means for sites to earn advertising fees by advertising and linking to Amazon.com. Any vendor wishing not to have their product image hosted on Homeschool.com may contact us to request removal. Homeschool Connect, Inc. reserves the right to modify, alter or otherwise update this policy at any time so visitors are encouraged to review this policy from time to time.